2016 saw a pretty good update on the Apple Watch when it went to Series 2. Slightly more stand alone the Series 2 now includes a GPS sensor that will allow you to use the Apple Watch without the companion iPhone. But as expected there is no stand alone Wifi or Cellular capabilities that would really allow the wearer to leave their iPhone at home. That’s okay thought because Apple did add some more horsepower and better screen which does get the Series 2 watch through one day of use and most of the way through a 2nd day. That is unless you are power using a Heart Rate Monitor app. Still I am very pleased with the Series 2 and don’t regret the purchase at all as it does provide me some more fitness freedom than I had previously. So whats new? What’s the latest rumors? Surely you were expecting the nosy and bothersome analysts to be sifting through Apple’s garbage and doing everything in their power to get the scoop right? Well there isn’t much and that pretty much makes sense. 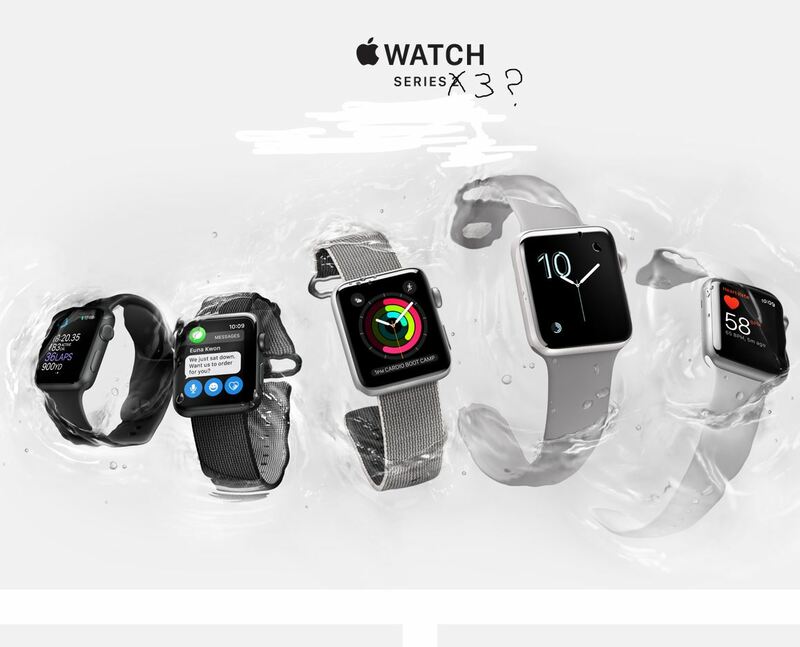 According to various sources the Apple Watch Series 3 for 2017 will not be a huge leap forward. It is rumored to be a slightly improved processor and battery life. No form changes at all and just some minor tweaks. Apple will most definitely milk this version of the watch out until it needs to be more innovative. No one close to Apple’s device releases expected anything else. Why? Because the iPhone 8 is coming and after some very boring device updates with the iPhone it is rumored that the new iPhone will be a complete overhaul. So there was already little chance Apple would drop 2 major updates on their most talked about devices in the same year. So don’t plan on a brand new fully updated Apple Watch Series 3 for Christmas. Best make plans to keep what you got another year unless you are just a fan and upgrade yearly regardless of the quality of the upgrade.